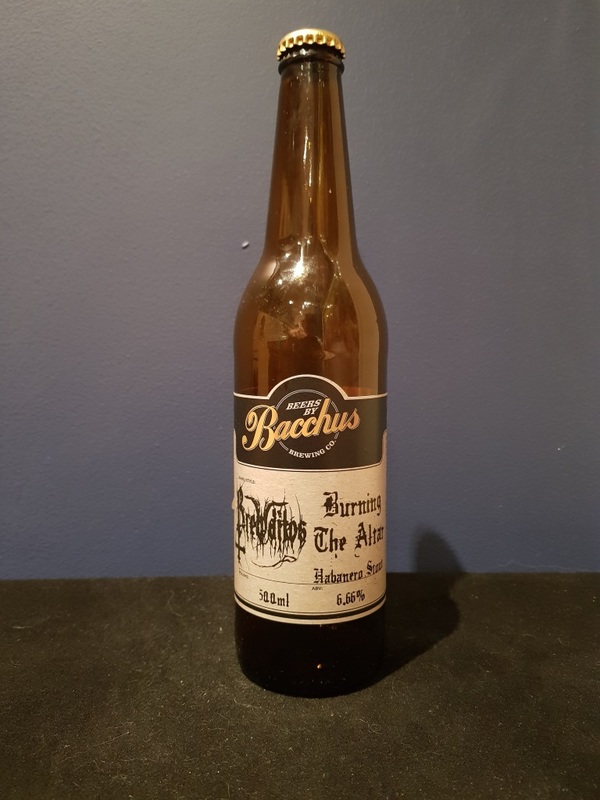 Beer #2651 is a stout brewed by Bacchus Brewing in Queensland, Australia. Brewed by Brewditos at Bacchus and also bottled there, this is a terrific chilli stout that, at a scary 6.66% ABV, is a bit of a sipper. It’s black and roasty, chocolatey, with a burning heat from the habanero chilli permeating the entire brew. From the first sip to the last, the chilli burnt my upper lip and mouth. It never gets too much, but it’s as hot at the end as it is at the start. One of my favourite chilli beers. The bottle size is 500ML with an alcohol content of 6.66% (containing approximately 2.60 AU / 3.30 UK standard drinks), and it costs $12.00.